I'll admit it, brewing great pale lagers requires an almost completely different skill set than sour beers. I'm not saying that one is harder than the other, just that you have to focus on different parts of the process and use different parts of your brain. 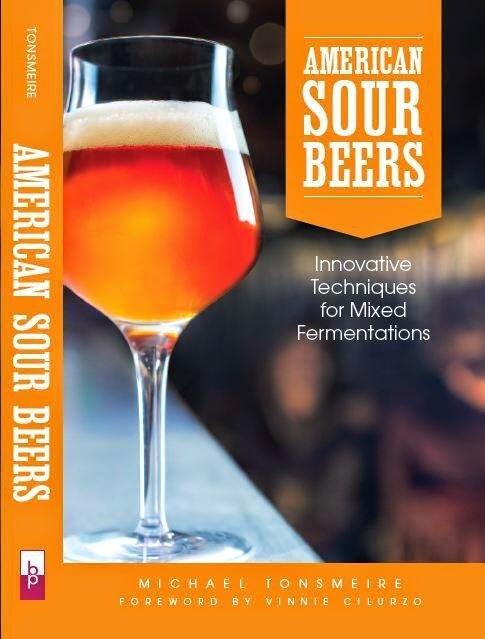 Sour beers are all about creativity and instinct, the best brewers are rarely technical masters, they have great palates and learn by experimenting. Conversely to brew great pale lagers the keys are in the details; the best brewers tend to be meticulous and strive for control over every aspect of their process. For this attempt at a Czech Pilsner I tried to use the most traditional ingredients and techniques to get the same flavors that the Czech brewers do. While overall I was happy with the way brewing and fermentation went, this was only my second try at putting it all together and it will take a few more attempts to dial this process in. The yeast I used (WY2001) is know for leaving some diacetyl (and it didn't dissapoint), but the odd thing was that this batch didn't taste buttery at all after a week held warm between 10 days of cool fermentation and two months of cold lagering. There are only a handful of styles for which the BJCP considers above threshold diacetyl to be acceptable, and luckily Bohemian Pilsner is one of them. While not a requirement, a low level of diacteyl adds fullness to the mouthfeel, and complexity to the malt. The real question is, what is the "right" amount? For me this beer is slightly more buttery than I wanted, but I tend to be more sensitive than most. I'm debating whether to add a Saaz hop tea for a more noticeable spicy hop aroma, which would also contribute obfuscation for the diacetyl. My conern is that a hop tea could mar the beautifully clear golden body that fining with gelatin provided. Clarity isn't something I normally concern myself with, but this one is destined for competition in just three weeks. Appearance – Pours with a one-finger creamy white head (which lasts longer and leaves better lacing than the bottle of Urquell). The body is golden/yellow, maybe a half-shade lighter. My beer is very clear, but compared to the real deal it isn't as brilliant. Smell – Fresh bread, some herbal complexity, and a touch of butterscotch (nowhere near artificial butter popcorn). The hop aroma could be a bit more assertive, but it is nice to really smell that decocted Pilsner malt profile that took so much effort. The original is a bit past its prime and has an aroma that is mostly cardboard (the sale at the supermarket should have been a tip-off). As the glass of Urquell warmed up I got a bit of diacetyl, but only about 50% of what mine had. Taste – Smooth and rounded despite the high level of IBUs, thanks to the low mineral water. The crisp Pilsner malt comes through in the middle, not as strong as it was in the aroma. The diacetyl is in the finish, slightly stronger than I'd prefer, but not over the top. There is a lingering malty sweetness, not quite as dry as Urquell (despite finishing at 1.012 just below the low end of the guidelines for FG). Mouthfeel – Not as much carbonation and a bit fuller than the original (which could be the diacetyl), but it still needs a bit more time for the force carbonation to work. Drinkability & Notes – When you put as much time and thought into a beer as I did for this one it is hard to be totally satisfied with the results, but I can't say I'm disappointed either. I'd guess that the diacetyl will standout too much in the competition, but I don't think its worth screwing with at this point. I wonder if you could bottle a bit off and warm-age it at room temp for about a week to lower the diacetyl. There is probably still a little yeast in there that would reduce it if given the chance. Worth a try IMO. The problem with comparing a homebrew Bohemian Pilsner next to the original is that your beer is highly unlikely to have been pasteurised to within an inch of its life and the shipped in less than ideal conditions half way round the world. Now, if you could get a bottle to Plzen and try is side by side with tankove version then that might be a good comparison. I have had people ask me how to get that "classic pilsner skunkiness" in their homebrew versions without them realising that the real thing has none of that! I'm suspicious that there isn't enough yeast left in suspension after 2 months of lagering followed by fining to reduce the diacetyl. I may give it a try to see if it is worth it, but my concern is that I don’t have the gear to bottle off the keg in a low-oxygen manor, and oxygen can create even more diacetyl from precursors present in the beer. I think the diacetyl may have come from oxidation, the keg had a couple days where it didn’t seem to be holding pressure completely until I applied keg lube to the pressure release poppit. I realize the Urquell we get shipped here can’t compare to the “real” stuff fresh, but this was a particularly bad bottle (although luckily it was not skunked). Well put. I think there is a lot to be said for trying to evaluate a beer for what it is without bringing your expectations into it. I received an email from someone else who had a related point, that we tend to focus on the flavors that we have names for. It is interesting to think about how the way we think impacts what we taste. Good luck on the Oktoberfest and the Pumpkin Lager! Would you consider Krausening as a way to reduce diacetyl? Getting another fermentation going either by krausening or just adding fermentables (if there is enough yeast) is certainly an option for reducing diacetyl. I'm beginning to suspect that it is just the character of WY2001, I did another lager at the same time with S-23 that is completely clean. Good luck, see you at the comp next week. I put up a post about my entry this evening. I also had a problem with diacetyl post-kegging but was able to rectify it by degassing the keg and krausening it with beer from an actively fermenting second batch. I think you may be right about oxidizing diacetyl precursors at kegging. I sampled my batch right after the diacetyl rest and detected no diacetyl. After kegging, it was a diacetyl bomb. Certainly looks spot on, always hard to tell exactly what the judges are looking for. Luckily the diacetyl in my batch seems to have died down (either that or the hop tea was enough to cover it up). Hopefully we'll bump into each other at the event. Hi. I know I am resurrection an ancient thread here, but I read this today and had a thought. Do you think it is possible that the buttery flavor you perceived was not actually diacetyl but kettle caramelization from the decoction? It seems like you did everything you could to remove diacetyl precursors, etc. Some yeast strains leave behind more diacetyl than others all things being equal. Certainly could have been a combination of malt flavor and expectation, but several blind tastings have suggested that most beer drinkers can't differentiate decocted from infusion mashed beers. Coincidentally I'll be brewing another Pilsner in a few weeks, using WLP800 and no decoction this time around! I've been working on a PU clone and have done a few runs of it. I've been using extract due to time constraints, no grain. I've used S-23 and was pretty happy with it. The issue I've had is the amount of hops it takes and trying to get it to clear out. I rely on mother nature so I brew it in the winter, but the last one I did it warmed up too much for a good lager. Do you think the gelatin works well? I left it in secondary for a good month (cool, not cold) and then it was in a keg for a few months and it's really cloudy. Looks more like a hefe:( The good thing though is that the flavors are there, really tasty. Gelatin is certainly a good option, I added it to a more recent batch of Pilsner. However, if the issue is chill haze (does it clear when it warms?) that may be less productive. There could be chill haze, but it sounds a bit like yours did before you added the gelatin. I'll have to give it a go on the next batch, I've been drinking on this keg for a while now so it's probably about gone:) I know it's been a while, but congrats on how far you made it at their contest a few years ago. Prague is very cool, I took a bus to Pilzen and went on the tour of the brewery. I drank a lot of PU that week:) About six months ago I was getting worried I wouldn't be able to get PU locally anymore, but it looks like they have cleaned up some of their shipping processes to improve quality and now it's pretty easy to find again. I'll keep working on perfecting it. Thanks for your blog post, it inspires me to figure out how to brew it year round.